Each mini modular Kirikabu resembles a tree stump with three horizontal stubs – two of them hold speakers, while the third is a terminal. The fully featured speakers come complete with bass-reflex ports and a sub-woofer. Each stump is made out of “eco-plastic”, which is a bit of a vague term – we’re guessing it’s a plant-based plastic. The units can be connected with one another to create a larger speaker, and each module houses a small pot, where bonsai and other plants can be grown. 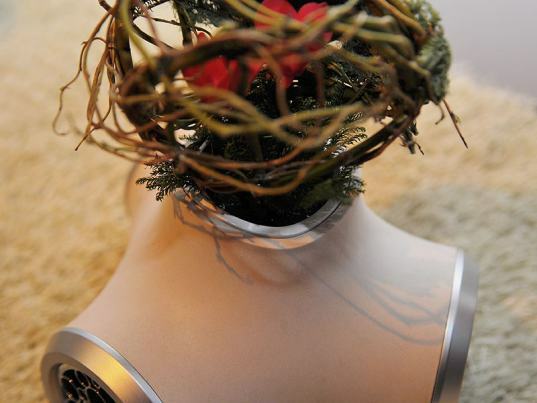 JVC recently unveiled a beautiful line of bonsai-laden Kirikabu speakers at this year's Tokyo Designer's Week. Created out of eco-friendly plastic, the conceptual series of speakers can be assembled into different shapes, and each contains a small compartment perfect for planting a tiny bonsai tree!